This course is a must for anyone working in the child care or school setting. The main focus is on infants, young children through to adolescents / teens. This course applies to educators and support staff working in the child care industry. This training will be held at the Kingaroy CTC training rooms. Please ensure that you arrive 15 minutes early for registration. 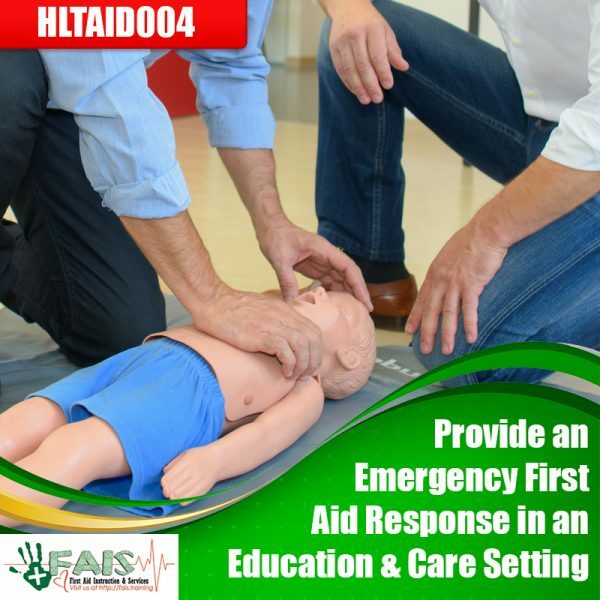 © 2017 FAIS First Aid Instruction and Services. All Rights Reserved.